“The most important and celebrated week in Australian racing is the Melbourne Cup Carnival at Flemington. By any measure, it is regarded this way both nationally and internationally,” VRC Chairman Amanda Elliott said. “The VRC has always taken its responsibility for Cup Week very seriously, in part because of the benefits it brings to the national racing landscape. 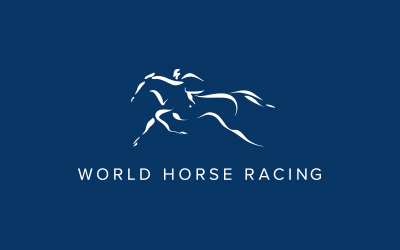 It not only sits comfortably amongst the top two or three racing events in the world, importantly, it drives investment into our thoroughbred racing industry for all participants, whether they be owners, trainers, jockeys, breeders, punters, or small country race clubs. Significantly, it is the single biggest economic contributor to the national economy of any sporting event. “What I find baffling, is the seeming lack of understanding of the importance of this as evidenced by recent decisions of RNSW – the lack of understanding of the importance of racing patterns and the rhythm of the calendar for all participants. 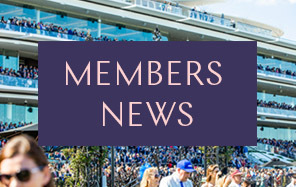 “Throwing money at ‘initiatives’ in an isolated parochial way, with no sense of respect nor apparent interest in any impact to these crucial foundations and drivers of our industry, seems foreign to us at the VRC,” Mrs Elliott said. VRC Chief Executive Officer Neil Wilson emphasised the importance of racing jurisdictions working together for the betterment of the national industry. “There is no doubt that a collaborative approach on a national basis is critical to achieving an optimal result for the Australian thoroughbred racing industry. It is an obligation we all have regardless of our specific geographic responsibilities to ensure the longevity and future health of our sport,” Mr Wilson said. “The VRC supports local innovation and appreciates from time to time there are initiatives that push the jurisdiction boundaries, however there is a threshold, and we do not support ongoing potentially destructive agendas that have no regard for the broader impacts and the national responsibilities we all have. “This announcement will not alter the momentum of the VRC’s Melbourne Cup Week or in any way challenge its unequivocal number one status on the important measures. As a major event, the Melbourne Cup Carnival attracts more than 300,000 racegoers over four days each year to nationally heritage-listed Flemington, and demonstrates how a successful racing carnival can contribute hundreds of millions of dollars to the Australian economy and is watched by over 700 million television and digital viewers globally, ultimately benefiting all Australians and the country’s reputation around the world.